Jane "Jenny" (Norden) Elliott of 17 Center Street, Wethersfield, was born December 10, 1900 in Southington, daughter of Swedish born parents Sophia (Alm) and Gustave Norden. 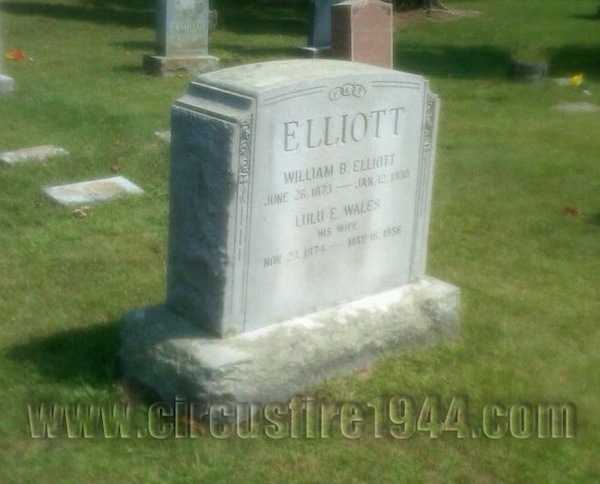 Mrs. Elliott and her son Richard, 6, were found dead at the circus grounds after the fire on July 6 and were buried at the New Willimantic Cemetery in Willimantic after services at the Taylor & Modeen Funeral Home. 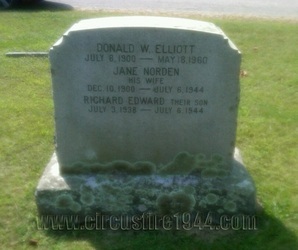 Jane leaves her husband, Donald W. Elliott, 43; their son, William, 13; her brothers, Edward, 55; Frederick, 54; and Frank, 50, all of New Britain; and her sisters, Miss Elsie Norden, 46, of Southington and Mrs. Gertrude Christensen, 41, of Bloomfield. 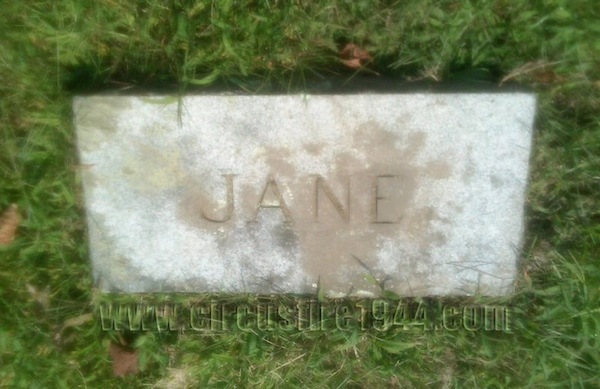 Body #1573 was identified as Jane Norden at the State Armory by her brother-in-law, Hans C. Christensen of Bloomfield on July 8. Mrs. Norden's estate was awarded $9,000 by the arbitration board. Jane was described by her doctor as having a slight build and being very active, always seemed healthy. Her younger sister, Gertrude, lived to be over 100 years old.